Once the plan has been drawn up we will take dental x-rays, photographs and impressions of your mouth to create a smile makeover plan bespoke to you. What will a Smile Makeover include? 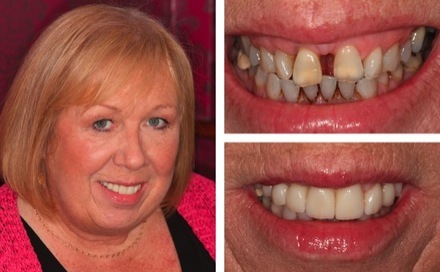 A Smile makeover can include a number of different treatments. If your smile makeover includes veneers or crowns, these will be custom-made to suit your individual requirements. This process normally takes around 2 weeks but you can test ride your new smile with a set of temporary fixtures. These are modelled on the permanent veneers or crowns, and after two weeks you will be given your permanent, bespoke veneers. Veneers and crowns can correct many smile problems including tooth discolouration, tooth misalignment, cracked teeth and chipped teeth. When combined with teeth whitening and orthodontic treatment a smile makeover can create a smile that is truly unique and beautiful.